It is highly probable that if you use the renowned Messenger to communicate with your friends, at some point you have needed their email. 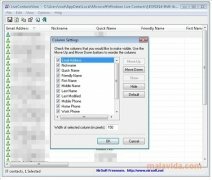 With LiveContactsView you will be able to view the data of all your Live Messenger contacts without having to open a session. 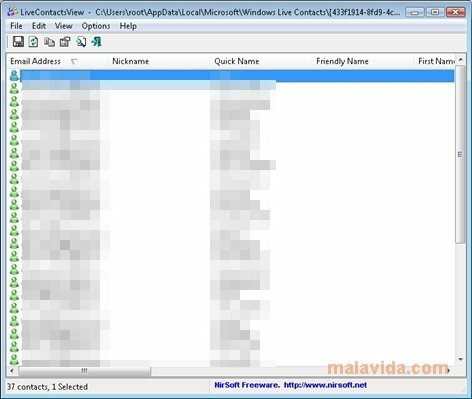 All you have to do is launch LiveContactsView, that doesn't require installation, we will view the contents of the contacts.edb file, that is the file where Live Messenger stores all the data of the last session. With this software, we will be able to read the file and we will see a list with all the email addresses, user names, nicks and all other data from each user's profile (if they have filled it in, logically). Thus it won't be necessary to connect to the Internet, or have a connection to know the email of one of our Messenger contacts. What's more, the program allows us to store the contact's information so that we can access it at a later date. 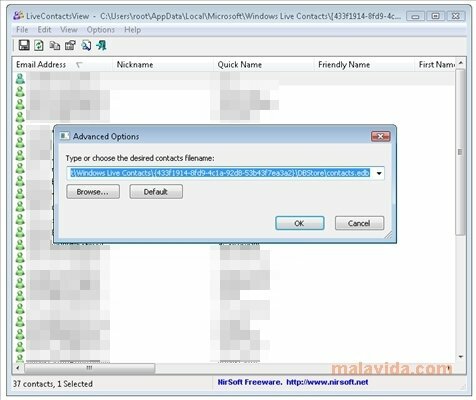 To use LiveContactsView, it is necessary that Messenger is closed, because it otherwise won't be able to access the file that contains the data.